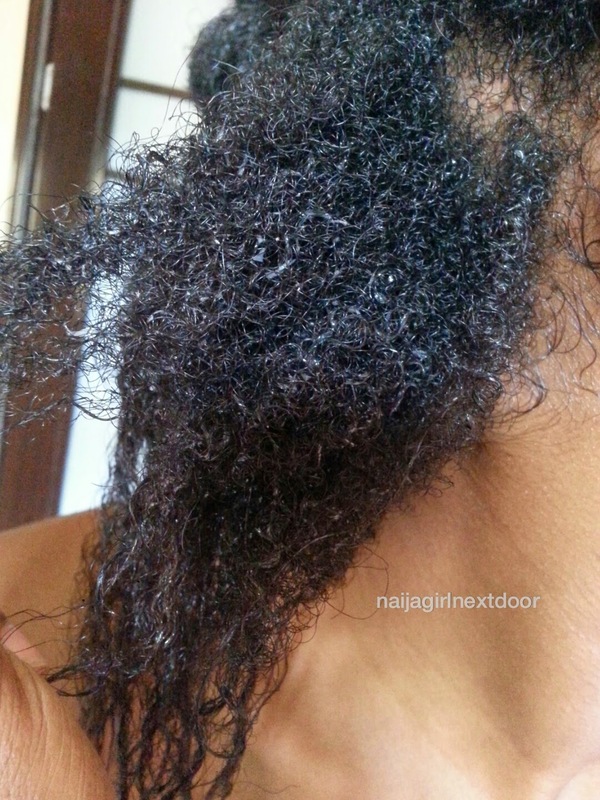 I had this weird hair dream a few weeks ago, shortly after I had been threatened with a relaxer by my friend Bisi. Someone was applying relaxer to my hair and I had just figured it out. It seemed so real- the strong smell of relaxer, hair plastered to my head... I woke up in a panic, looking wildly around for the culprit and wondering how in the world I would start this transition all over again!!!! The prime suspect, my sister, was sleeping peacefully. The only foul play was by my satin scarf: it had come off and disappeared, and my hair was a right mess. I later found it on the floor and sistren, I don't know how it got there. On to the gist for the day. I finally made up my mind when I'm ending my transition. First let me tell you, I have had struggles and frustration. The tangles, the texture difference, trying to style my forever-post-relaxer hair... I probably would have grabbed my scissors on impulse and done this months ago if not that there are other shareholders in this my hair matter. One time I thought I was ready, I sent my mum a long essay email telling her why I was sure I was ready. If you're a regular reader you know why- Momma is my hair's keeper, she had her hands in my hair and got attached long before I knew my name. Plus, she's a natural hair champion and kept trying to get me to go back natural way before I knew I could do it. So anyway, I told her I had a lot of new growth; that a lot of the relaxed hair had either been trimmed away or broken off; it wouldn't even be like a cut; it would be more like a trim. Just so she would give me the thumbs up to cut our hair. "I think you should wait for all the relaxed hair to fall off on their own." I huffed a bit, but I'm glad she stopped me then because a few days later I was totally sure I would be clueless with short hair. Length is my comfort zone, in spite of the craziness up there. So okay, my not-so-big chop date. I'm ending my transition at 24 months post relaxer. That's coming in November this year, seven months away. I'll probably have just tendrils of relaxed hair left by then if at all it's not over before then, with my frequent trims. I have concerns. Will I have enough hair to show for two years of transitioning? I mean enough hair for my vanity. And what about styling? I don't plan on embracing shrinkage. I also foresee an increase in protective styles for the rest of my transition because they make life a lot easier. So braids, twists, and maybe faux locs. A big maybe. That one takes forever. Meanwhile I'm going on week three with my box braids. Whoooop! I'm gunning for a month this time which will be a record for me. No, I'm trudging on. I've washed my hair/scalp twice in these braids already and I will make it to four weeks so help me God. What's up with you lately? Gimme gist in the comments. Mwah. More grease to your elbow, Sandra. I'm not sure I would have the patience to transition for 2 years. I'm looking forward to seeing your hair once you cut off the ends. Your braids look very neat. You deserve an award for your patience so far and your braids are still neat ��, I'm thinking of braiding too but it never goes well for me. Hopefully, this time's a charm. The front is a little rough now. The struggle is real but you're doing a great job. Those 7 months will fly, just hang tight. As my dad likes to say, "Keep on keeping on!" You've done so well, I'm sure you can make it through 7 more months! Countdown to November, I owe you cake! That's great news :). 2 years is a long time o. I thought I would transition over 30 months. Took off my relaxed ends after 11. Lol. Keep holding on, and I'm looking forward to seeing your gorgeous all-natural mane :). Wow! Sandra, I can't wait to see ur all natural hair. 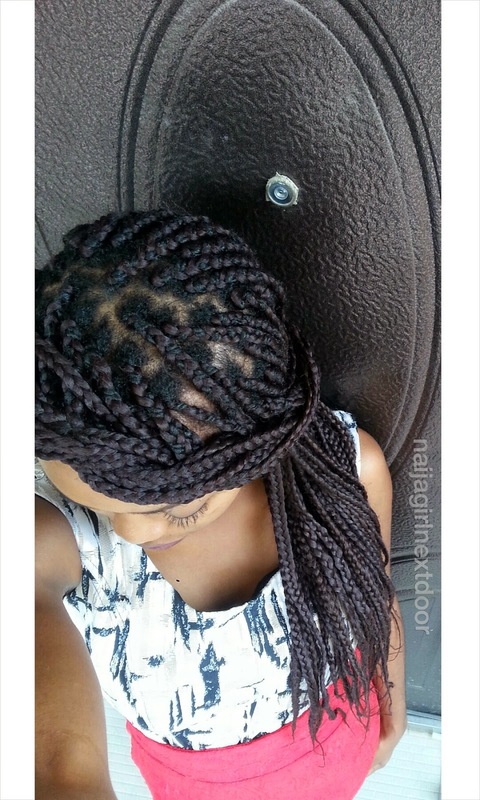 U really scared me with ur post title o. I will try that box braid, Its nice.